Stuffed Peppers are such a big hit for almost everyone. But let us be serious about why they are such a big hit. It is the stuffing. We all like the insides of the stuffed Peppers. 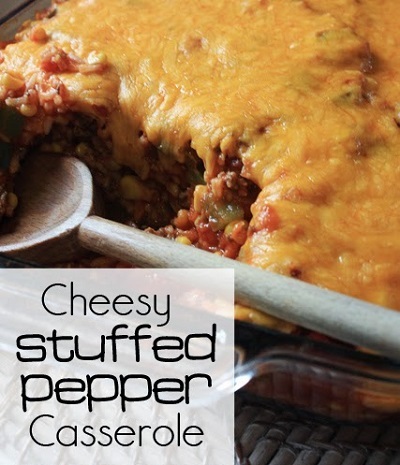 So what better dinner then a stuffed peper casserole. Loaded with all the insides that we all love. I tried this recipe a little while back and my family loved it. We just had it with a nice salad and some great fresh buns and it was a perfect combination. Give this recipe a try as I am sure you will love it also.